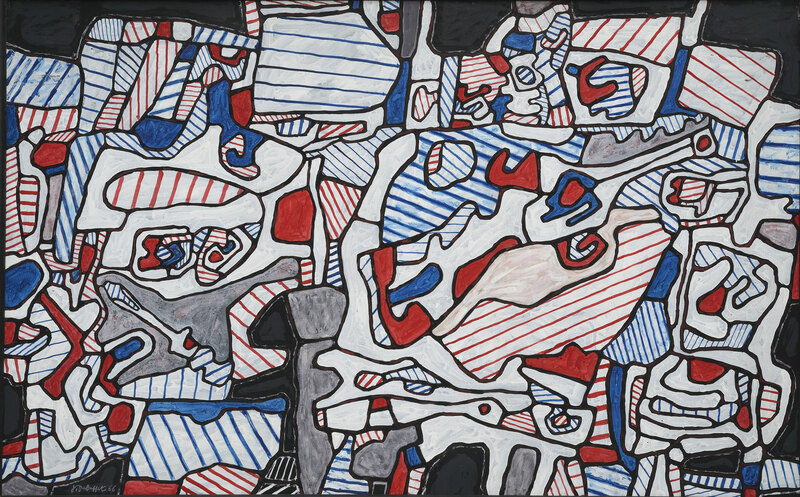 Jean Dubuffet (1901–1985) is one of the defining artists of the second half of the 20th century. 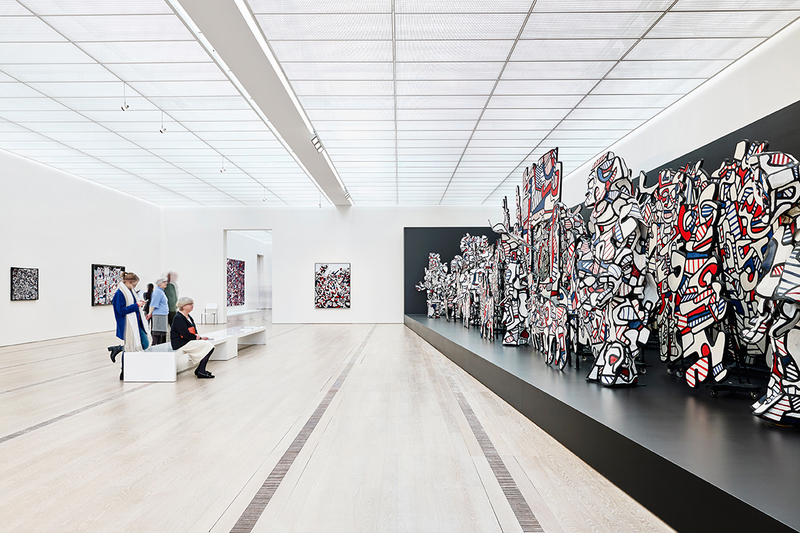 Stimulated by the work of artists on the margins of the cultural scene, Dubuffet succeeded in liberating himself from traditions and in reinventing art. Dubuffet’s influence can still be felt today in contemporary art and street art, for example in the work of David Hockney, Jean-Michel Basquiat and Keith Haring. 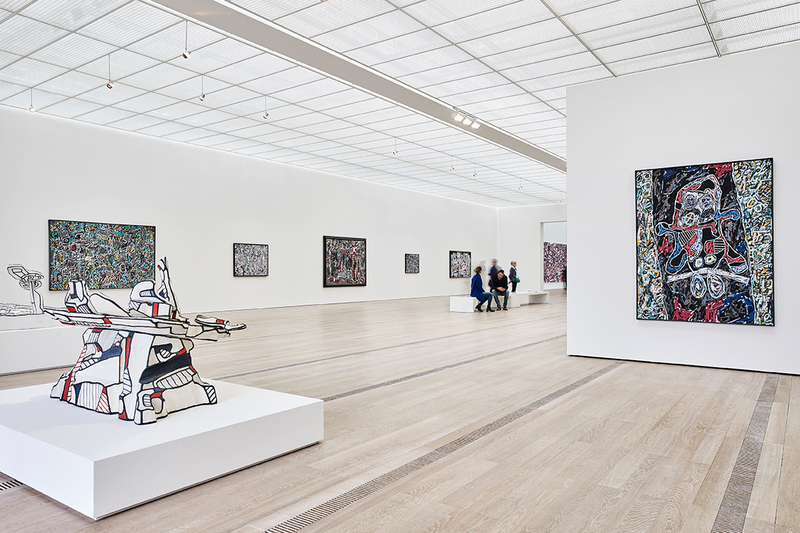 In the first large-scale Jean Dubuffet retrospective in Switzerland this century, the Fondation Beyeler presents the artist’s richly facetted and multilayered oeuvre on the basis of more than 100 works. The exhibition thereby starts from Dubuffet’s fascinating idea of landscape, which in his hands can transform itself into a body, a face or an object. 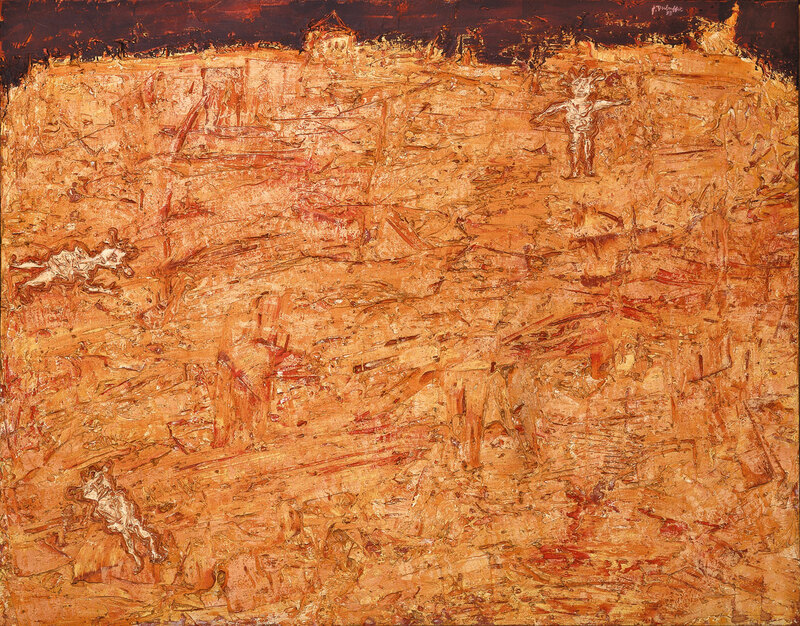 The artist experimented with new techniques and materials, such as sand, butterfly wings, sponge and slag, and thereby created a wholly individual and unique visual universe. 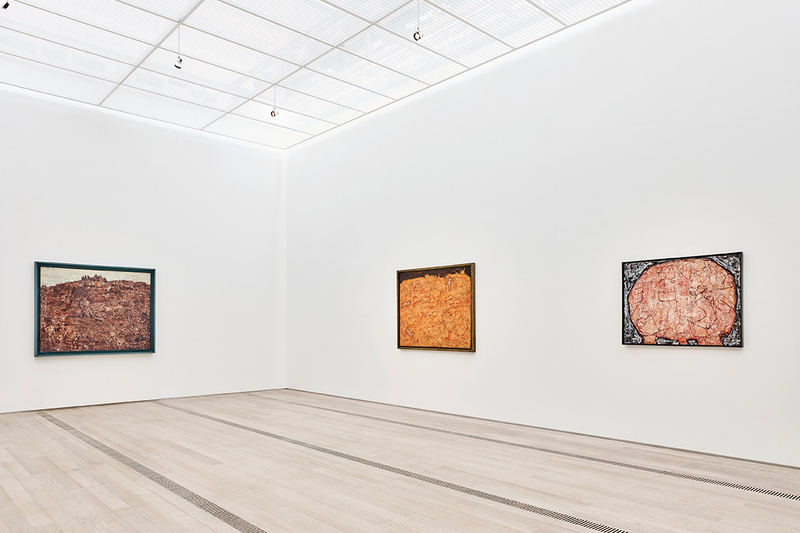 On this occasion, the gallery lends two major paintings by Jean Dubuffet. “Terre orange aux trois hommes”, recently presented on our booth for FIAC 2015, as well as “Site domestique (au fusil espadon) avec tête d’Inca et petit fauteuil à droite”, notably shown in 2013 in the exhibition “Matter and Memory. The Patriarch’s Realm”.